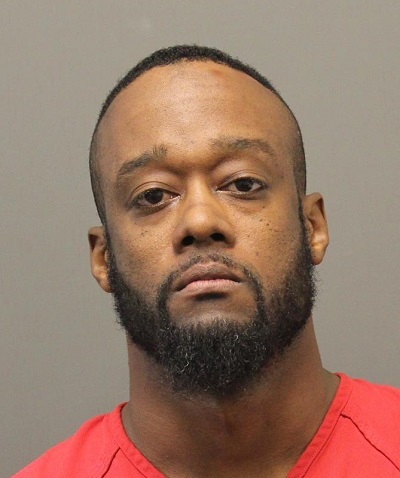 A Sterling man is facing two attempted capital murder charges after he reportedly shot two Loudoun County Sheriff’s Office deputies on Christmas Eve, sending them both to the hospital with serious injuries. Douglas V. Johnson Jr., 39, is being held at the Loudoun County Adult Detention Center following the charges. According to the LCSO, deputies responded to the 46000 block of Hollow Mountain Place shortly before 4 p.m., where an adult male was reportedly involved in a physical altercation with a family member. Deputies began communicating with the subject, Johnson, and working to establish a rapport with him in an attempt to resolve the situation. Shortly after 5 p.m., Johnson walked upstairs and to the doorway of a bedroom closet, according to the LCSO. As two deputies attempted to arrest him, the subject made a sudden move into the closet. One deputy deployed his Taser as the second deputy attempted to restrain the suspect. Johnson was able to grab his own handgun and fire at the deputies, striking both. With the assistance of a third deputy who was in the house, the three deputies were able to handcuff and secure the suspect. The two injured deputies, whose identities have not been released, were transported by ground to Reston Hospital, where they are being treated for serious but non-life threatening injuries. “I am proud of the actions and bravery of our deputies tonight and would like to thank the community for the outpouring of support we have already received. I am glad the deputies are doing well as the situation could have ended much worse,” Loudoun County Sheriff Mike Chapman (R) said in a prepared statement. yet this would be the first guy to call for help from the police if HE were being attacked by someone else ! !